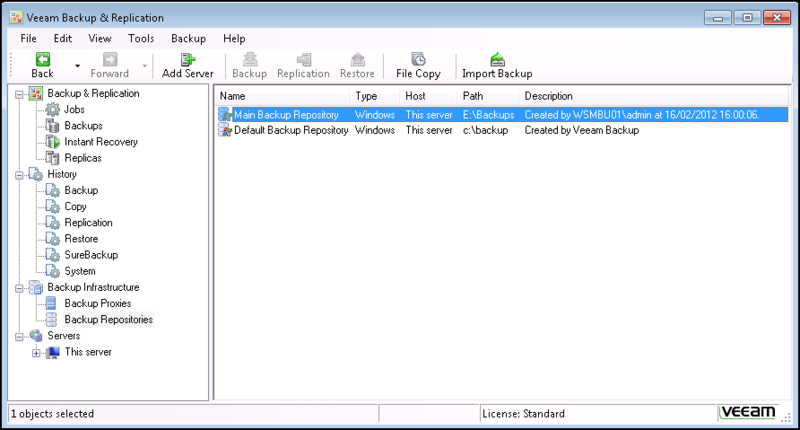 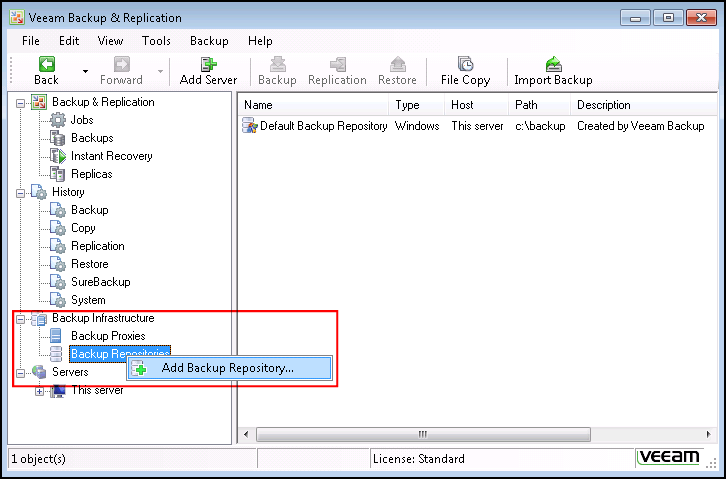 Before you can start backing up Virtual Machines (VMs), you need to create a Backup Repository after installing Veeam Backup & Replication 6. 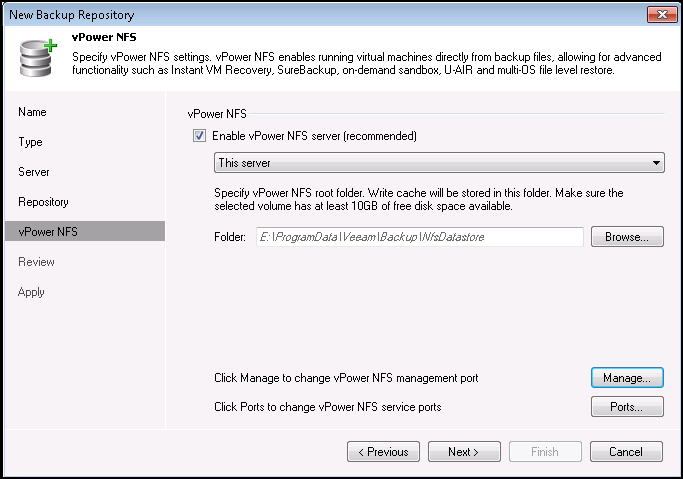 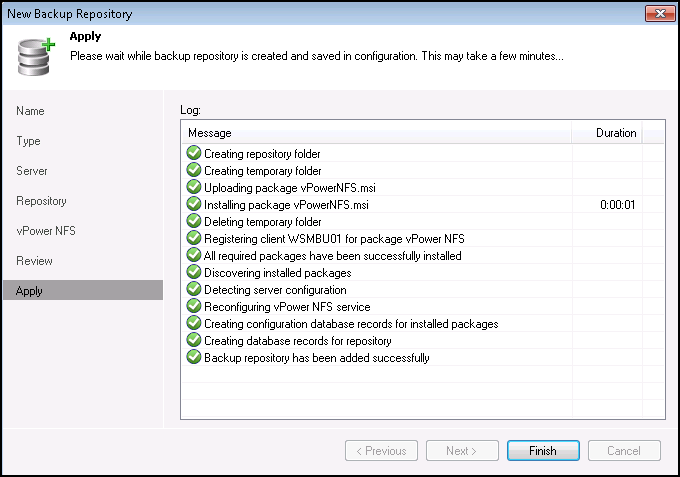 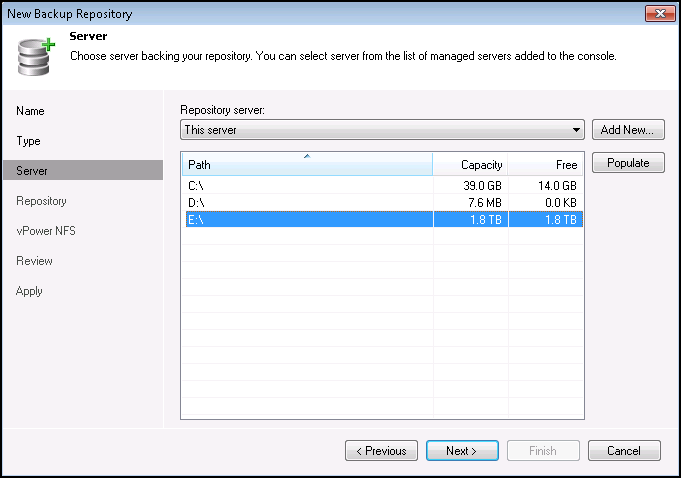 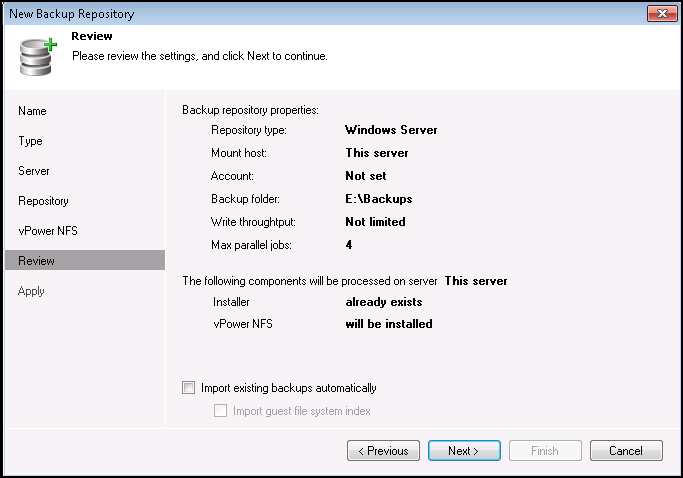 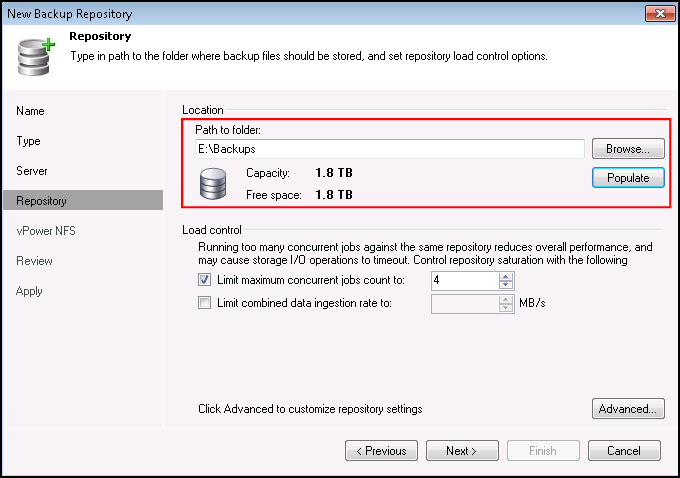 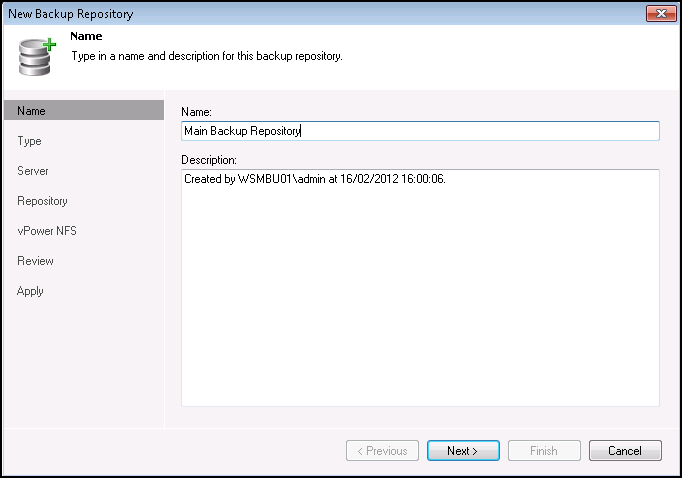 During installation, Veeam Backup & Replication 6 will create a Default Backup Repository with a path of C:\backup. 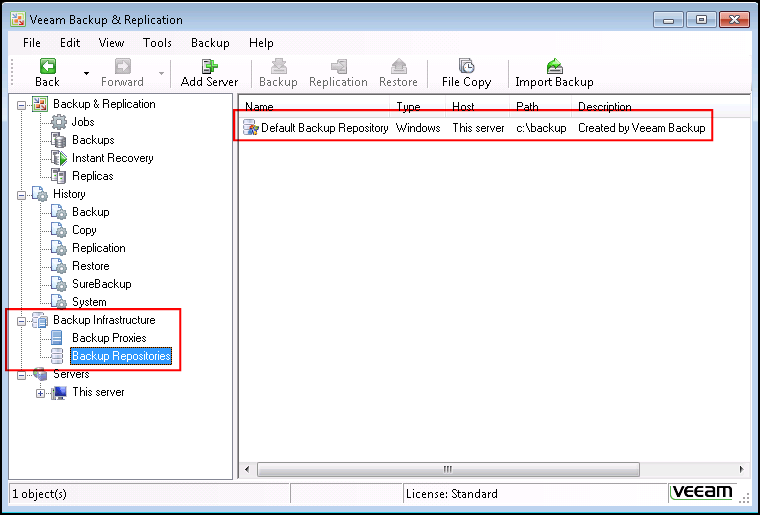 As you may not want to store your backups on the C drive – where your Operating System files usually reside – follow these instructions to create another Backup Repository on a separate drive. 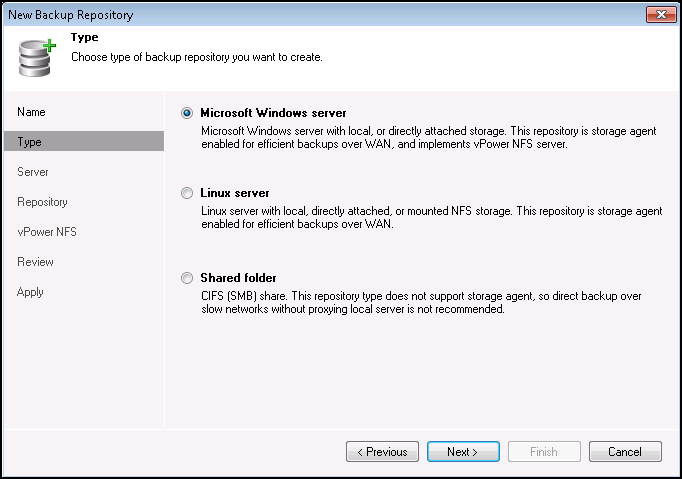 You can now setup a Backup Job for Veeam Backup & Replication 6, and select your new Backup Repository.